SPOCE consulting is part of the SPOCE service portfolio. It aims to help organisations such as yours to optimise their Projects, Programmes and Portfolios. We benchmark your current performance using the P3M3® maturity model, and make recommendations that will make a real difference within your organisation. We will tell you what it is that you do well, what isn’t working quite as well and what your organisation needs to change to make improvements. 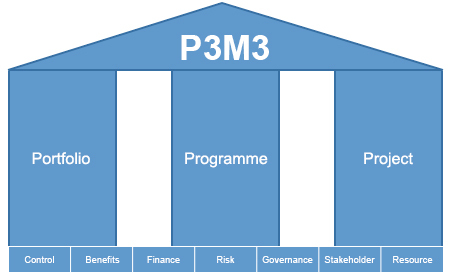 P3M3® is an acronym for ‘Project, Programme and Portfolio Management Maturity Model’ and its objective is to measure the capabilities of your organisation across the PRINCE2®, MSP® and MoP® disciplines. The assessment is conducted using 3 models; Projects, Programmes and Portfolios (each of which can be assessed separately, or as a whole). Within these models are 7 disciplines which are scored from 0 to 5. Discover the project, programme and portfolio management strengths and weaknesses of your organisation. Find out what you can do to improve your organisations projects, programmes and portfolio management capabilities. Cost savings, ROI, portfolio optimisation, project and programme delivery and customer and employee satisfaction. The good news is that the assessment can be short, consisting of a single day on-site followed by the results of your assessments and recommendations on how improvements can be made, a short time later. 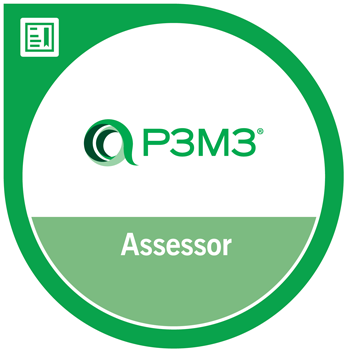 Your assessments will be undertaken by Adrian Shaw, an AXELOS Accredited P3M3® Assessor. Adrian is an AXELOS Accredited Assessor for P3M3® and has been working in project management since 1987. Since 2007, he has been providing consulting services to organisations (both public and private sector) across all business sectors helping organisations to define and implement project management frameworks appropriate to their particular business and current maturity level. If your organisation requires something more bespoke than a P3M3® assessment, then this can also be provided as part of the SPOCE consulting service. We had the pleasure of working with Adrian over many engagements to support our Programme Office transformation programme. 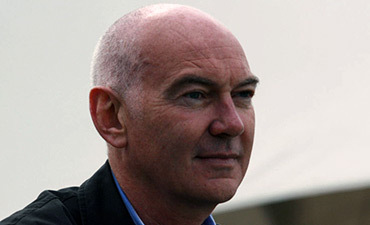 His pragmatic outlook and experience helped us develop a structured programme and project roadmap. Adrian’s ability to operate at both senior management and project manager levels helped to uncover the key aspects necessary to develop a workable solution. Adrian brought a common sense and pragmatic approach to the process of developing our project management framework and processes. Using this approach, we were able to speedily implement a framework that wasn’t overly complicated but matched our requirements perfectly. A year on, and having setup a new Programme Office which now manages or oversees virtually all Council projects, I can really see the Allerdale importance of keeping it simple and getting the right consultant to guide you through the process from day 1. It really isn’t about what project management technology you have, it’s about getting the right framework and processes.